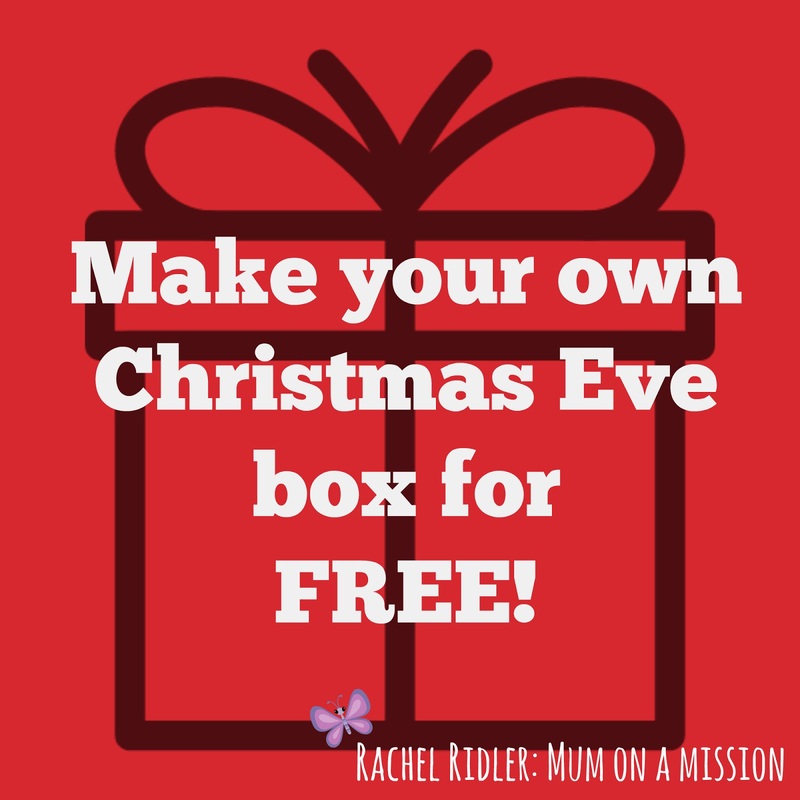 Make your own Christmas Eve box for FREE! 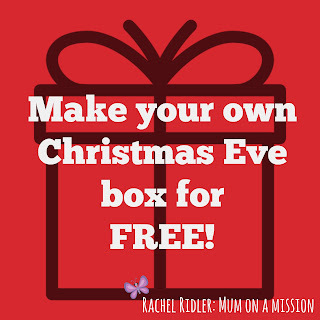 Christmas Eve boxes are all the rage at the moment – another thing to spend money on to make sure Christmas is magical for your kids. 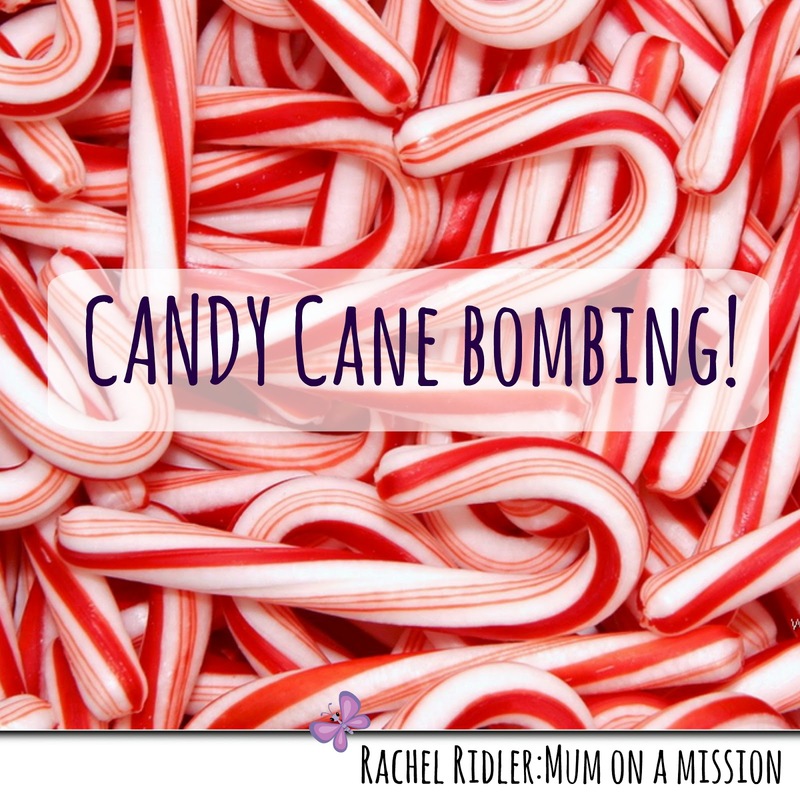 And I do get it – it is all about anticipation and planning fun things that your kids will remember. But sometimes all these “Christmas traditions” just add to the expense of this time of year. 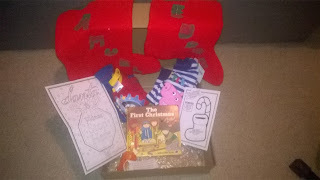 This is the first year I am going to make up a Christmas Eve box, partly because my son is old enough to understand it now but also partly just to give him something to do on Christmas Eve when we arrive at the grandparents super excited!! But I am not going to order one online or spend lots of money on it. I am going to put in free or cheap things that we would probably have done/used on Christmas Eve in previous years anyway but it just keeps it all nicely together. Clean pyjamas – no I am not going to go out and buy news ones. Just normal PJ’s are fine everyone! Reindeer food – Sam made this at nursery, but if not you can make it easily with oats and glitter. 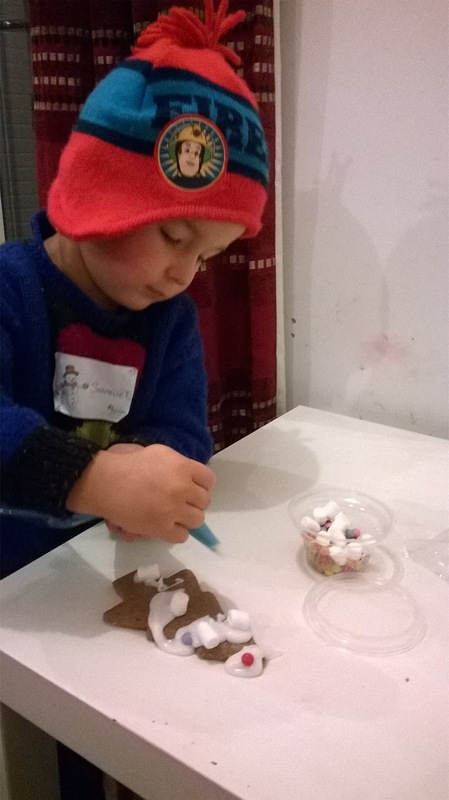 Lots of fun for sprinkling on the grass outside so the reindeer can see your house…. A book for bedtime – this could be a new one if you want, but if you haven’t got the budget just add one in that they haven’t read for a while or ask a friend to do a book swap. We have a great charity locally called Re-Read that gives out free books so have a look around to keep the cost down. 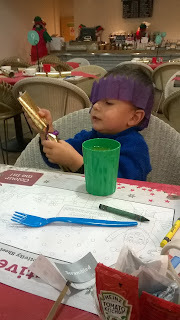 A paper plate to decorate for Santa – some people like to buy an expensive santa plate, but this year I am going to get Sam to decorate his own plate to leave out for him. 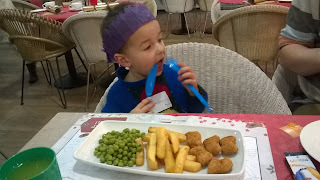 This could prove tricky given that he wants to leave out chilli con carne (apparently Santa needs a proper meal!) but then each year he can do a new one. Do let me know any other free or cheap ideas you have for your own boxes by commenting below. Hillsong CD Let there be light – Now I don’t usually like Hillsong albums all that much. I generally find them a bit too much style over substance, and I prefer to have music that includes more scriptural truths in it, but all the reviews of this album have been fantastic so I thought I’d give it a go! And I do love it. My favourite song is “What a beautiful name it is” but I could pick lots more that are my next favourites. Perhaps a few too many slow songs, but some great lyrics in there. Casting Crowns CD The Very Next Thing. Now I really do love Casting Crowns and I have about 6 of their albums to prove it! To start with the songs do sounds pretty samey to previous albums, but what I love about their music is the story and reason behind why each song is written. They will always be based on a scripture which is included in the cover and after a few listens you get a better understanding of that song. My favourite on here are “The very next thing” as it talks about that season in life where you don’t know God has for you next. Plus their harmonies are amazing!! Cheerfully Given – If you are looking for some Christian gifts handmade by others then this is a sort of etsy for Christians website! 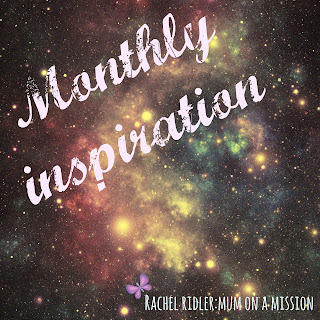 Katie who is had a cuppa with a few months back sells her lovely jewellery on here and you might just get some more inspiration. Room DVD – now this is a strange one, but I just watched this film and was blown away by it. You do have to be in the right emotional state to watch it as it is quite moving, but definitely worth getting. It is all about a mum and son who are living life in one room, and what happens when they get out (not to give too much away!). If I need to convince you more it is under £5 on amazon so just do it! 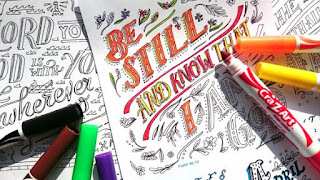 Bible Society Colouring Calendars – I love these! I am always on the look out for new creative ideas to express my faith, and these calendars are a great way to do this. They are also only a 50p donation each so why not buy 10 and give them away to others?! 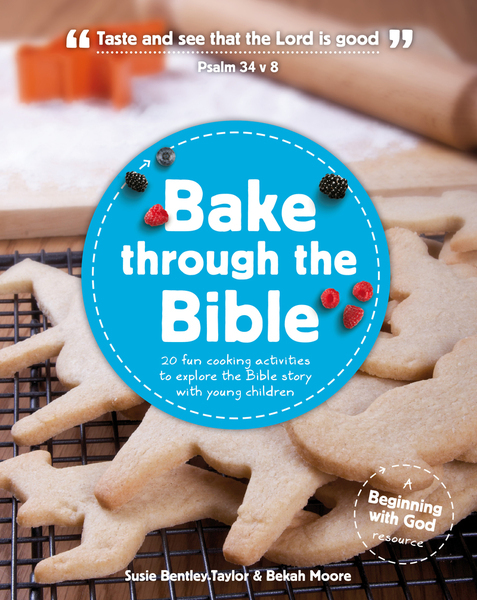 The bible society also have some great little Christmas booklets for kids and other resources such as a nativity from scratch to help share your faith this Christmas. This time of year is one of preparation for Christmas. Each of us has to decide what we will teach/tell our kids about Santa, how many presents we will buy, what other treats or customs we might start or carry on. It is both exciting and terrifying, as I know for me I want to make Christmas magical but not lose the true meaning of Christmas. Neither do I want to spend hours queuing with my two year old for him to see Santa to then have home scream and hate it! So when I was given the opportunity to attend “tea with Santa” at our local Wyevale Garden Centre I jumped at it! 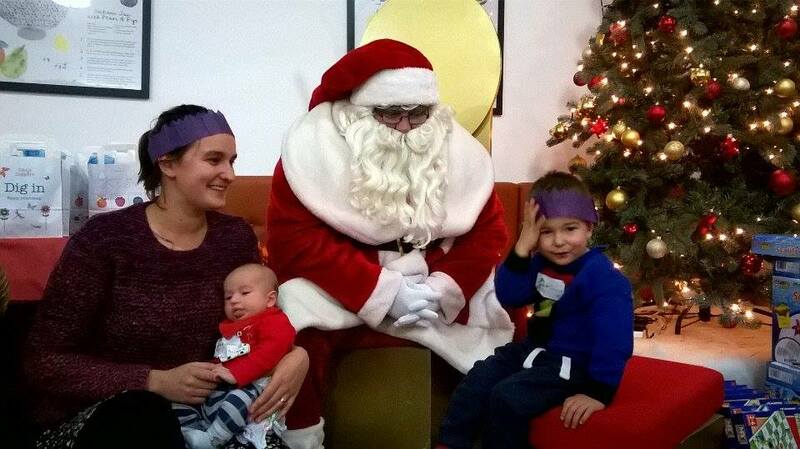 The event will be smaller than normal Santa grottos and more relaxed. We are going to arrive at 3pm, enjoy a nice meal and activities to keep my two year old busy and entertained until Santa arrives to meet them all. 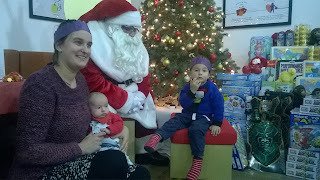 So I am super excited, as this I’ll be the first year my two year old will meet Santa properly, and I think he actually understands it this year. Breakfast with Santa – fellow blogger Michelle’s review of their breakfast with Santa in 2013. 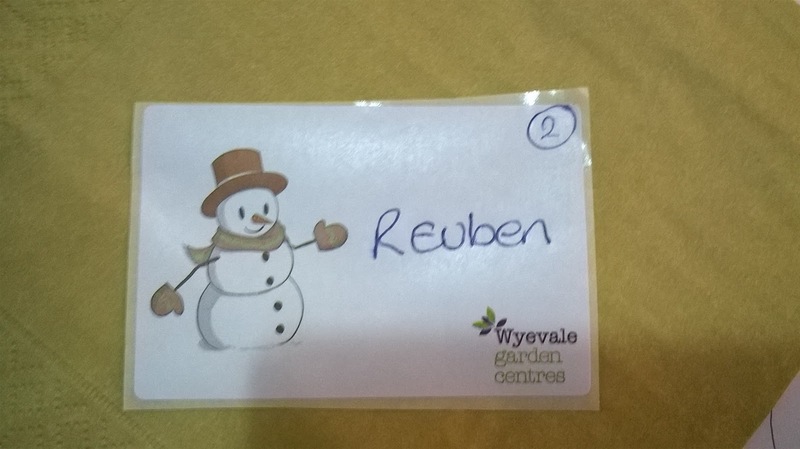 Online booking page – the Wyevale Garden Centre page with further details on breakfast and tea with Santa experiences including online booking page. Prices range from £3.99 for adults to £9.99 for children. 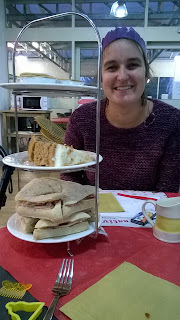 We are visiting Carr vale garden centre near Wakefield, but there are venues across the UK. OK, so I am a little bit late with my New Year themed post, but I have given myself a well earned break from blogging over the Christmas period to enjoy time with my family. But now I am back with a blaster!! It comes in two parts. First, a round up of my “Mum on a Mission” themed Christmas presents. Second, a summary of my blogging new years resolutions. So keep reading because I promise it will be mildly interesting…..
Unlocking the door. A book about evangelism in the real world. I am really looking forward to picking up some hints and tips on how to get the gospel into real life situations. I am sure later in the year I will do a review of this book so keep you eyes out! 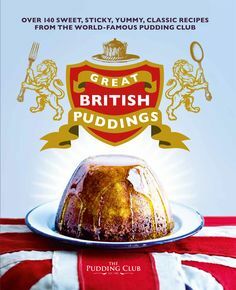 Great British Puddings. Not technically a mission oriented book, but this will definitely help with my ongoing Pudding Club! Lots of new puddings to try out and some traditional ones to attempt. So there you have it – my top three Christmas presents as I know these will help me with my mission (the pile of chocolate I feel may detract as I sit in bed eating it all and not moving…). 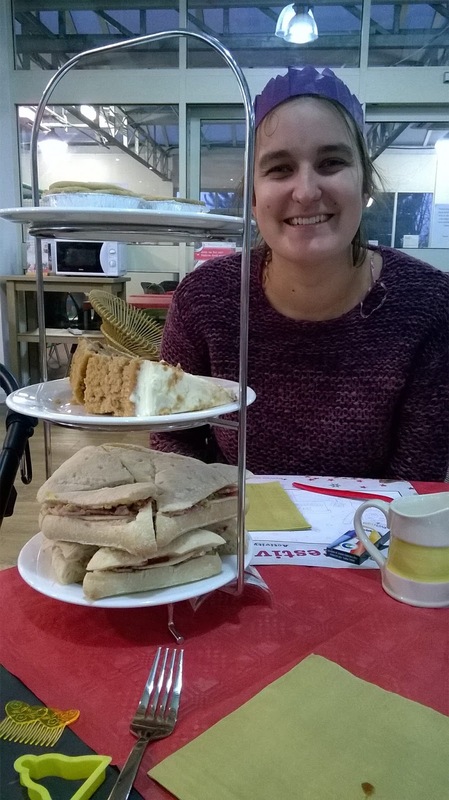 Secondly, I wanted to publicly write down my blogging new year resolutions. It has been a great first year on the blogging scene and I have enjoyed it immensely. 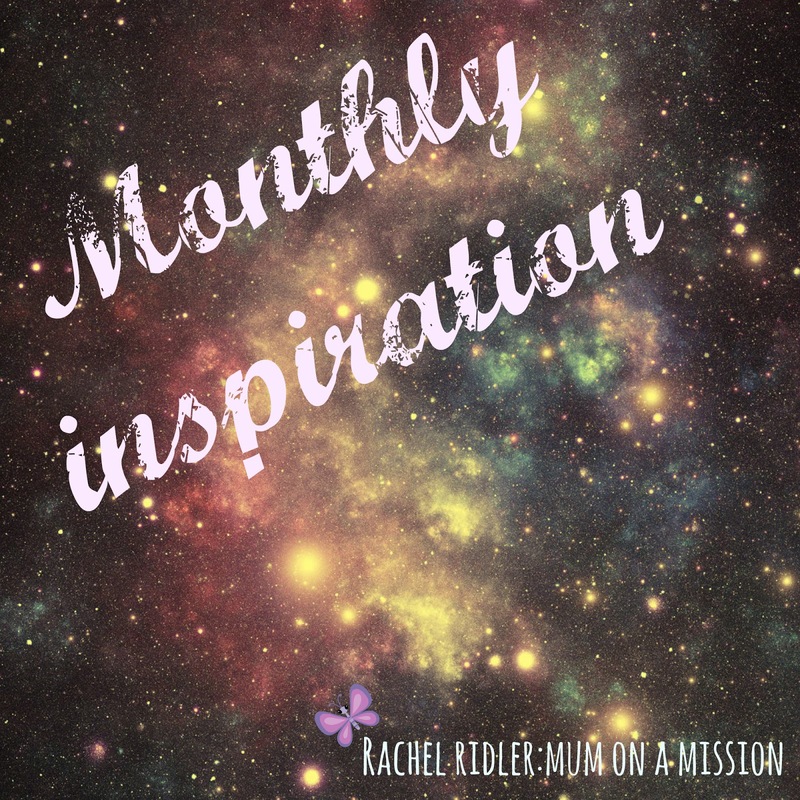 I am, and always will be, a bit of an ad hoc blogger – letting real life and God inspire me in my posts. This can make it a bit hard to plan when posts will come out, but I think it suits my lifestyle and hopefully you will find the stories and posts more real and not forced. But I want to make sure that I continue to update you all on my Feeding 5000 challenge (it is my personal goal for 2015 to reach at least 300 by the end of this year) so I am resolving to make that a regular feature post. I will also attempt to take more photos and include them on the blog. So thank you to everyone who has read this in 2014 and I look forward to inspiring, encouraging and amusing you all in 2015!! What are your memories of Christmas? 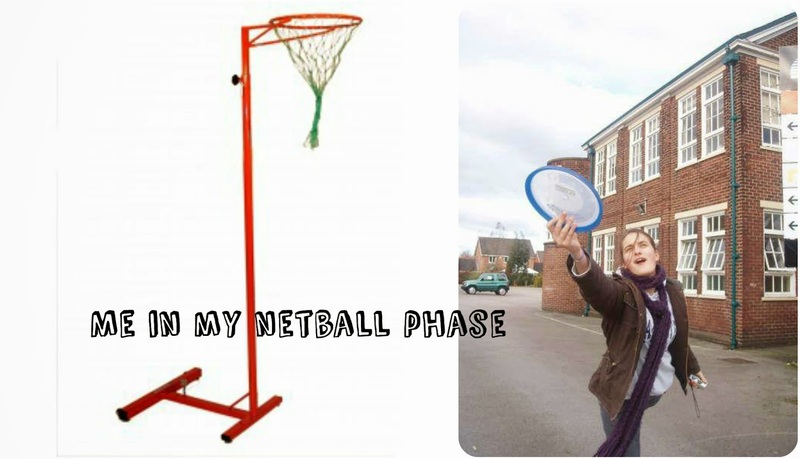 My most memorable Christmas presents over the years have been a dolls house, a netball post (I sucked at netball but I always gave it a try! ), a walkman and most recently a vacuum cleaner (I know, I really do get some exciting presents, but when you are first married it is something you really need…). But you know, the presents get used or wear out and eventually you forget all about them, and what you are left with are the real memories. I remember being up really early and my mum playing board games with me until everyone else woke up so we could open presents. I remember the nativity plays we used to do on Christmas Eve at our church and the rush to get from there into the car to my Nan and Grandad’s house. I remember the open air carols in our town with the Salvation Army Brass Band. I remember opening our stocking presents from Santa on my parents bed every year until I was about 21! I remember always wanting to be a server at the midnight mass service at church because everyone used to come in from the pub and we would try to guess who was drunk. I remember our neighbours down the street having an open house on New Year’s Day. I remember loving the time I got to spend with my extended family. I have some great memories, and I am hoping that I can start to build some for Sam this year and in the future. But one thing I am desperate to make sure I achieve at Christmas is to reach out to others also. 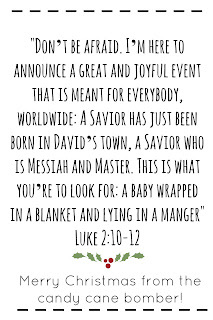 Christmas is all about the good news of Jesus, and so I don’t want to miss out on using it to its full advantage. That is why this year I have committed to putting on an open house for anyone and everyone – neighbours, friends, family. I will also be collecting canned food donations for our local foodbank. take part! 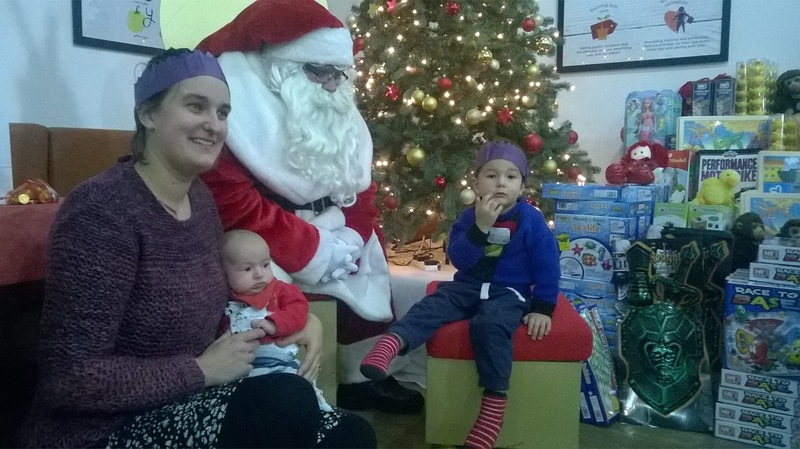 Just by being involved in some of the Christmas activities in your community might open up doors to talk to people about the real meaning of Christmas. 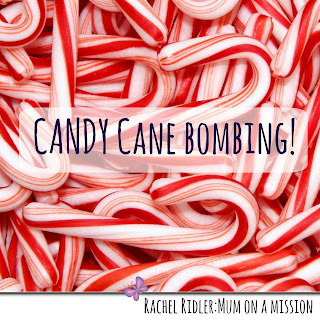 So rather than sitting inside grumbling about Santa and commercialism, get out there and spread some joy! make some handmade treats and hand them out to those who are lonely this Christmas – perhaps an older person down the street, a nursing home or women’s refuge. 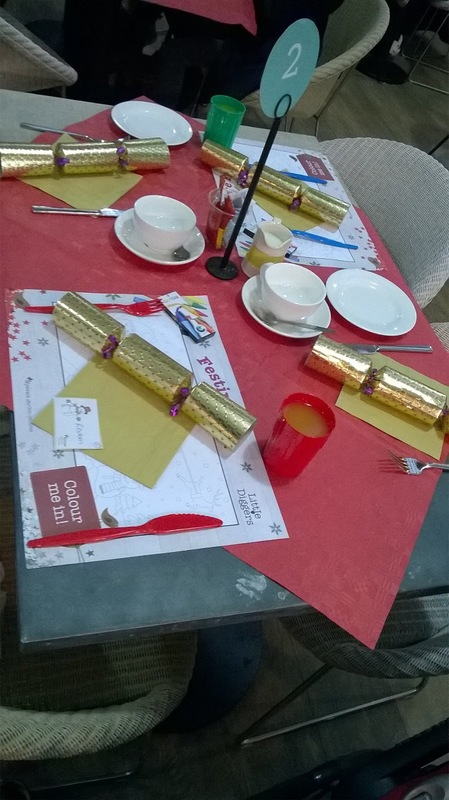 Tie a bible verse to each one with ribbon or put a nice note saying “praying for ….. this Christmas”. People will value that sentiment if nothing else and if that prayer is answered it will open doors for future conversations.